Zico: As of now my main focus is to coach FC Goa. Zico: Everyone plays well. They all are good players. It is very difficult to give one name. ABCDFootball: As a coach, what are the factors you look in a player and how do you plan to improve their weaker side? 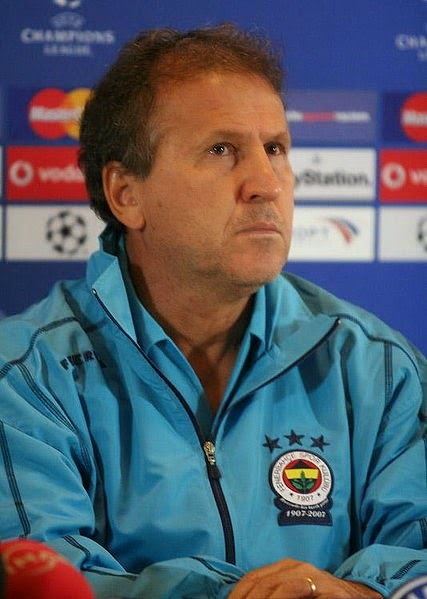 Zico: My objective is clear. The objective is to reach the finals and win. I am optimistic about this. We are training really very hard. I have spent time with each and every one of the players and have shared my philosophy of the game with the team. Zico: In each country the football culture is different. In Brazil, football is a passion. People follow it with a fierce passion. I came to Kolkata in 2004 for the world cup preliminaries and saw stadia full of people enthusiastically cheering and enjoying the game. In India too there is passion and love for the game and Indian football is definitely getting better. I am here to offer my expertise and advice to the team and help the growth of football. 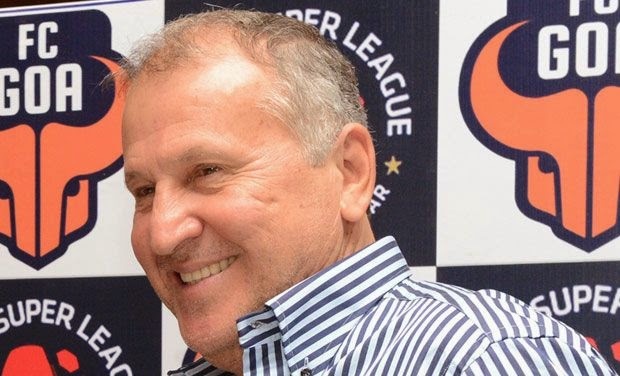 Zico: The FC Goa team from Goa approached me to take up this position. They travelled to Brazil to meet me. They explained the concept to me and I found it interesting. Also, Asian football is getting stronger. Its developing and evolving fast. And I didn’t want to be a mere passenger, I am here because I want to be a part of the development of football in this country. "The ability to grow lies with the player"
Zico: India is a very large country but it is very unfortunate that the standard of football is not too high. For success, we have to work very hard. I have done so in my country and will do the same in India. I will offer my experience and knowledge to better the sport of football in the country. If Indian players would like to grow, it depends on the Indian football players’ mentality. We can provide help through our rich experience and coaching but the ability to grow lies solely with the player. I am here to extend my help for the growth of football whether the player is amateur or a professional. My job is to bring out the best in them and I’ll do that. Zico: Each country is different from the other. In Japan there was no professionalism at all. But the biggest advantage I had was that everyone in the Japanese team was united and wanted to progress from amateur football to professional football. If India would like to grow, it depends on the Indian football players’ mentality. We can provide help through our rich experience but the ability to grow lies solely in them. I am here to extend my help for the growth of football. But first I need to spend time with the team and understand their strengths and weaknesses and share my philosophy with them. I also need to understand the cultural nuances of the country. The training has been good so far. The players look strong and are ready to go. We have been preparing well for all this time. I have spent time with them to understand each and every one of the players and have shared my philosophy with them. Zico: The most important thing is development of football at the grassroot level. There is need of good academies which will train the kids from the very start, and help them become professional over the period of time. This interview was taken by Debraj Banerjee of ABCDFootball. We would like to thank Zico, the FC Goa Mediadesk, especially Sean Faia for making the interview a successful one. Also, we are proud that we could organize such a interview where most of the questions were compiled by the fans themselves through our facebook page. We always appreciate feedback, be it negative or positive, because those are the only pointers which helps us to understand ourselves better. So, drop in your feedback in the comments section below or you can even mail us at - admin@abcdfootball.com or sam80dev3@gmail.com .